In June of 1995, the Jury in the OJ Simpson trial announced a verdict of not guilty. The aftermath of dismal reactions highlighted significant conflicts and diverging views in America’s workplaces. In fact, white and black people had a different perspective on the OJ Simpson Trial and life in general. Eighty-three percent of whites stated that Simpson was “definitely” or “probably” guilty while only fifty-seven percent of blacks agreed with this assessment. Rather than carefully assessing one’s own viewpoint when evaluating a different culture, most individuals make assumptions about other cultures definitely. Sadly, we still have not learned this lesson in the United States. The last several days have been very hectic as I try to answer students’ questions and address my own concerns about a recent Southwestern Baptist Theological Seminary gaff that has provided another headwind for others sharing the Good News. Let me say that we have all done foolish things and have suffered the consequences. Most of us have had to debase the impacts of this photo on our popular culture to our students and others. In the Southwestern Baptist Theological Seminary in Fort Worth (TX), five seminary professors, including the dean of the School of Preaching, put on gangster-style clothing (perhaps dressing like urban rappers), flashing their gold chains and one holding a handgun. Written above the photo were the words “Notorious S.O.P,” which was a reference to the seminary’s School of Preaching and to the black rapper, Notorious B.I.G. In late spring 2013, I was able to witness an interesting example of a company promoting philanthropy and community relations. Shoichiro Toyoda, Toyota’s honorary chairperson, donated $2 million to help build the Howard H. Baker Jr. Center for Public Policy at the University of Tennessee. As you may know, the Toyota Motor Corporation, a multi-national automaker, was established in 1937 and founded by Kiichiro Toyoda. Toyota employs more than 330,000 people around the globe by 509 consolidated subsidiaries. The University of Tennessee reported that Toyoda made a trip from Japan to the campus because he wanted to see his good friend, Sen. Howard Baker, and the new facility. Toyoda also visited Denso Manufacturing Tennessee, Inc. to tour their manufacturing facilities and then Eco Park to which Denso Manufacturing Tennessee had donated land, trails, trees, and other resources to the community for environmental education on litter prevention, recycling, and pollution prevention. Toyoda voluntarily took a seat right next to local school students and was fascinated watching a hazardous material disposal simulation. Toyoda appreciated Denso Manufacturing Tennessee for contributing to the community. It was Toyoda’s genuine gesture to care about children and education, communities, and environmental issues. Pless (2007) pointed out that “a strong values base is also a characteristic of the role of the steward. The metaphor of the leader as steward makes references both to being a custodian of values, a stronghold to protect professional and personal integrity” (Pless, 2007, p. 445). I value the opportunity to meet the leader who passionately led Toyota Motor Corporation to contribute to efficient manufacturing systems, strive to produce automobiles with safety and environmental conscious concepts, and set the tone at the top to enhance corporate social responsibility. Adjusting business strategies and practices in a quickly changing global environment is a key subject. As an automotive industry leader, Toyota has been tactfully changing management to adjust and adapt to constantly changing business environments. Aspirations and principles found in Toyota’s Code of Conduct is influenced by the Japanese cultural characteristic that emphasizes harmonious business relationships with customers, suppliers, dealerships, and local or global communities while focusing on providing lively, safe workplaces to employees. The Code of Conduct guides Toyota’s business strategies such as human resources or environmental protection activities in accordance with fundamental ethical policies. Toyota focuses on multiple subjects to operate fairly in the global marketplace in and communities where different cultures and diversities exist. Toyota strives to utilize labor diversity while supporting equal employment opportunities including promoting a women’s workforce and people with disabilities. They also invest heavily in Research and Development (R&D), not only to produce quality cars and trucks, but also to promote safety activities and environmental preservation globally. For instance, Toyota’s sustainability report focuses on improving traffic safety and car quality, contributing to a low-carbon society, and supporting global communities while they thrive to comply with safety and environmental laws. R&D is not limited to a car’s safety features but also to accommodate workforce changes in production systems. Recently Toyota announced that one of their assembly plants is dedicated to the employment of retirees. The plant is designed to produce only one model at a slower cycle time to be easier for the senior employees’ level of physical fitness. This activity is Toyota’s quick response to the government’s amendment to the senior citizen’s employment promotion law to provide a friendly work environment (Sankei Digital, 2013, para. 2). It helps older workers to be able to operate machines and work at assembly lines at a slower pace. The Toyota Manufacturing System (TMS) is known as a socio-technical system, based on their management philosophy and practices to reduce unnecessary moves or inventories, to achieve the just-in-time and lean-manufacturing concepts. TMS is designed to set up efficient and effective assembly lines for profitable production systems while quality fundamentals are met. On the contrary, accommodating the aging work population has become a focus rather than excelling profitability. Even if the assembly plant may not operate as efficiently as they would wish, Toyota found the initiative to solve the social challenge. Toyota is often known to lead the industry in Japan by addressing social issues and initiating systems for improvement. The 2011 Tohoku earthquake and tsunami in Japan were nobody’s fault. Over thousands of years, on the small island country, the Japanese have learned to find ways to live in harmony and help each other to survive from environmental threats. This harmonious society was harshly tested by the earthquake and tsunami to survive. The Tohoku region in northern Japan is known for its fishing industry, severe winter weather, and is often being threatened by earthquakes. On the contrary, the locations are convenient for manufacturing sites to transport products to Tokyo and large metropolitan areas, consequently, many Japanese automotive components companies or heavy-duty industries located their manufacturing facilities in this area. Severe damages by the earthquake and tsunami paralyzed water and power supplies, roads, or telecommunication systems. Infrastructure damages kept products from being transported out of the area. Manufacturing plants could not resume operations for weeks, and automotive component inventories were exhausted before the global supply chain was restored. As a result, automakers in Japan and the United States were forced to suspend operations or reduce production hours due to a parts shortage. The disaster tested the vulnerability of the global economy affected by the major disaster and left us with many questions on how we can best prepare for unexpected catastrophes such as hurricanes, tornados, floods, wildfires or a financial crisis, such as the Great Recession. One isolated country’s disaster can have a huge impact on the global economy. If organizations want to be better prepared for disasters, they must establish an effective risk management program and find the best investment options or contingency plans to minimize operational interruptions. Furthermore, governments and corporations can collaborate to assist victims and develop unfortunate areas. It requires a national strategy to coordinate social responsible activities to provide immediate reliefs and rescue a nation. In order to distribute electricity to the affected Tohoku areas, manufacturing companies in metropolitan areas modified their work schedule and implemented a rotational blackout. Within six months, the Toyota Motor Corporation initiated regional revitalization plans in the Tohoku region, including the establishment of the Toyota Motor Tohoku Corporation to support post-quake reconstruction. It is also equally important for corporations to protect the natural environment while being profitable. Steiner and Steiner explained the increasing interest in sustainable development by corporations to support non-polluting economic growth that raises standards of living without depleting the net resources of the earth (Steiner & Steiner, 2012, p. 442). It is a corporation’s social obligation to prevent pollution and provide safe workplaces for communities. Michael Porter defines pollution in his book, On Competition, as a sign of resources being used incompletely, inefficiently, or ineffectively when scrap materials, harmful substances, or energy forms are discharged into the environment. Porter feels pollution is also as sign of mismanagement. For instance, Toyota’s environmental philosophy is to reduce environmental impact at all stages of vehicle development from production, use, disposal, and recycling while undertaking environmental activities in all business areas on a global scale (Cortez & Penacerrada, 2010, p.124). The Toyota Manufacturing System emphasizes eliminating wasteful resources, unnecessary conveyance, and excessive inventory to achieve efficiency, increase profitability, and reduce costs. Porter also stresses that pollution reveals flaws in the product design or production processes (Porter, 2008, p.350). Cardboard or plastic bag packaging is a truly wasteful material because it requires so much labor and time to unpack, flatten, gather, and transport it to landfills. Toyota recognized and corrected this flaw in processing by replacing cardboard packaging with rigid, plastic reusable containers. Thousands of suppliers are required to use reusable boxes to protect parts from being damaged during transportation, and at the same time, eliminate packaging waste. Setting up the returnable container system required an initial investment to purchase boxes; however, this cost is usually amortized during the program life of two to four years. After their use, the plastic boxes can be sold to other companies for further recycling. In 1999, Toyota Motor Engineering & Manufacturing North America (TEMA) created an initiative to become a zero-landfill company. Since 2012, thirteen manufacturing plants have been recognized as true zero-landfill plants. I believe that profitability does not always have to suffer while corporations are trying to be responsible for social issues. There is a way to attain both objectives at the same time. Can you share other good corporate examples? Who drives the social corporate responsibility in the organization? 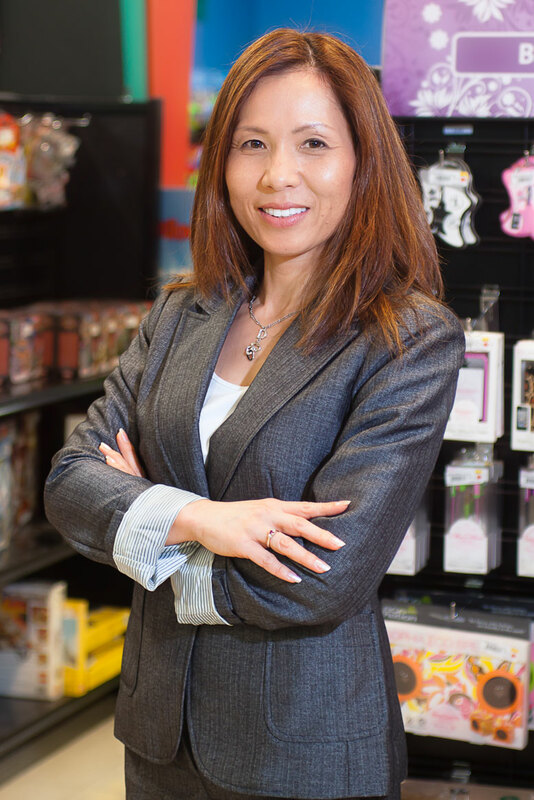 Noriko Chapman, who is a native of Japan, is an international traveler and a role model to millions of women looking to overcome extreme obstacles in life. She is a production control section leader for DENSO Manufacturing, TN. DENSO Corporation, headquartered in Kariya, Aichi prefecture, Japan, is a leading global automotive supplier of advanced technology, systems and components in the areas of thermal, powertrain control, electric, electronics and information and safety. Its customers include all the world's major carmakers. Worldwide, the company has more than 200 subsidiaries and affiliates in 35 countries and regions (including Japan) and employs approximately 120,000 people. A mother of two, she has over 20 years of experience in the automobile industry and is a cancer survivor. Noriko led a successful campaign to assist the Tennessee Rehabilitation Center (TRC), which works with disabled adults to secure employment. Her book co-authored by Dr. Daryl Green, Second Chance, was inspired by the TRC. For more information, you can visit her on Facebook.com. Cortez, M.A., & Penacerrada, N.T. (2010). Is it beneficial to incur environmental cost? A case study of Toyota Motors Corporation, Japan. Journal of International Business Research, 9, 113-140. Pless, N. (2007). Understanding responsible leadership: Role identity and motivational drivers. Journal of Business Ethics, 74(4), 437-456. Porter, M. (2008). On Competition. Watertown, MA: Harvard Business Press. Steiner, J. F. & Steiner, G.A. (2012). Business, government, and society (13ed.). New York, NY: McGraw-Hill. We can’t survive without technology. Are we too dependent on it? When the computer network is down in our office, it’s a pretty wasted day because we are paperless. Yet, you won’t find many modern organizations that can operate when their technology malfunctions. 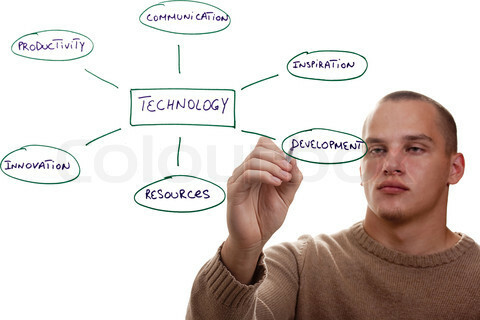 This week we will focus on technology relevancy as part of the three practical applications (i.e. value modeling, technology relevancy, and human factor buy-in) in socio-technical systems. Organizations must understand that technology needs to be relevant as it relates to benefiting the whole socio-technical system. Technology relates to the combination of skills and equipment that managers use in the design, production, and distribution of goods and services. Gareth Jones and Jennifer George, authors of Contemporary Management, argue the significance of technology forces on organizations: “Technological forces can have profound implications for managers and organizations. Technological change can make established products obsolete….” The graveyard of many businesses is littered with numerous failed opportunities of senior executives to understand market shifts and technology opportunities. As an engineer myself, we are taught to use theory in order to build, design, and operate technical systems, whether mechanical, digital, or otherwise. Sometimes this creates a technical superiority over the other components of this socio-technical system. There have been numerous cases where organizations have purchased new technology to solve a problem or to become more efficient when a simple conversation with impacted employees would have produced better results at a lower cost. Therefore, organizations should invest their time in identifying the relevant technologies for their socio-technical system in a participatory manner. Discuss the concept of technology relevancy for today’s organizations.